For the past two years, I have used my beauty sponge of choice (I'll let you guess which one) to apply every single one of my makeup products. Foundation, concealer, bronzer, blush: My trusty sponge can handle it all. Streamlining my makeup application process has significantly expedited my routine, and I have remained faithful to my singular sponge ever since—that is, until two days ago. Over the weekend, I got my hands on the new beauty sponge from Sigma, which was strategically engineered to surpass all others. Sigma's co-founder Simone Xavier brings to the table not a makeup background, but a PhD in molecular biology and a steadfast commitment to science. There are dozens of beloved beauty sponges on the market right now, but Xavier had a feeling she could design something better. "When using a regular sponge, I have always encountered challenges, such as applying foundation around my brows and lips, or not being able to reach the sides of my nose," Xavier said in a press release. 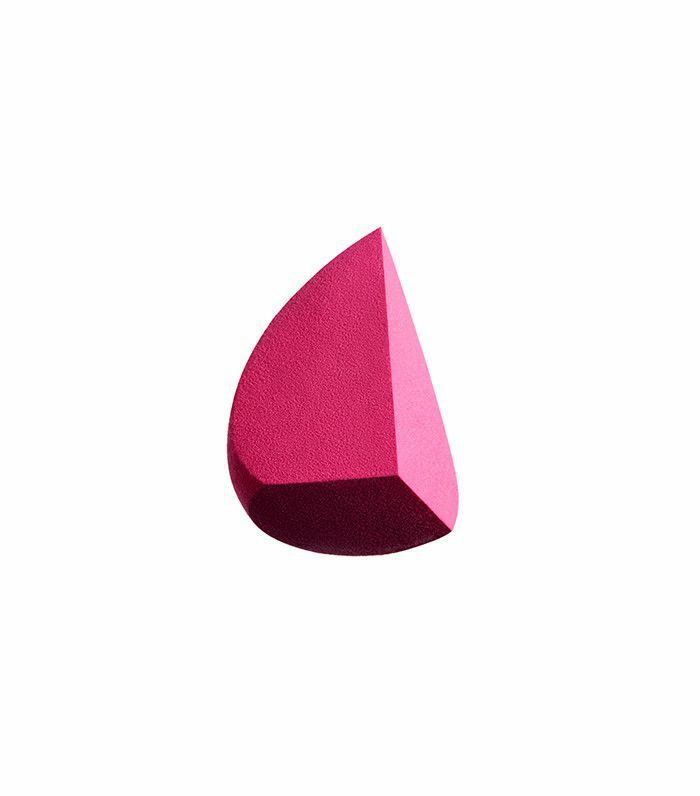 "I have also observed many users 'pinch' their rounded beauty sponges to try to get the edges they needed for a more precise makeup application." Taking these observations into account, she entered the lab and emerged three years later with the Sigma 3DHD Blender ($15), an angular sponge with three flat surfaces and one round surface, each designed to apply a specific product to perfection. The science sounded promising, but would Sigma's new blender live up to the sponge I've used and loved for years? Keep scrolling to read my honest review. Putting the 3DHD Blender to the ultimate test, I set out to apply makeup to my entire face with it. Physically, it's slightly bigger than the sponge I'm used to and comes in two colors: black and hot pink. It doesn't feature my current blender's aesthetically pleasing symmetry, but I held out, knowing the flat surfaces were there for a reason. I started out by wetting the blender with regular tap water. Unlike some sponges on the market, it instantly became squishy and flexible, which made a good first impression. I used a patting motion to apply my foundation with the rounded end and my concealer with the flat bottom surface, which is conveniently shaped like a triangle. (The bottom triangle can also be used with loose powder to "bake" your makeup.) My face products blended out shockingly quickly (I figure because of the large size of the sponge), and the finish was absolutely seamless. Plus, just like Xavier promised, the straight edges of the blender allowed me to move around my brows, eye makeup, and lips with precision. (There's nothing worse than getting concealer in your perfectly filled-in brows, right?) Overall, this is probably my favorite part about the sponge. By the end of my experience with Sigma's blender, I was genuinely surprised. I thought no other sponge could top my current favorite, but I can see myself reaching for this one every single day. (Plus, it's notably cheaper than what I currently use!) It's official: Xavier's careful engineering paid off. The 3DHD Blender launches on SigmaBeauty.com on February 27, 2017, and you can sign up for the waiting list now. Personally, I recommend you do so, since, so far, it seems that this is going to be the beauty sponge of 2017. Next up, don't miss the best Beautyblender hacks we've ever heard.